The Austrian Society for Functional Magnetic Resonance Imaging (ÖGfMRT) was founded in 2004. It is seated in Vienna. 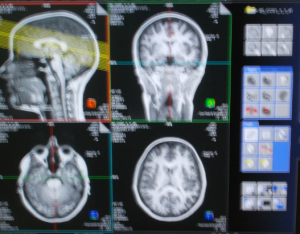 The main aim of the society is to support basic research, applied research, clinical applications, and education in the area of functional magnetic resonance imaging (fMRI). This is done by performing and supporting medical, clinically relevant research projects, by organizing educational events, by publishing guidelines and quality criteria for clinical fMRI, and by scientific and personal exchange. Further aims are to fund national and international educational events (including travel costs and congress fees), and to purchase or lease respective equipment. The Organization for Human Brain Mapping (OHBM) was founded in 1997. It is seated in Menneapolis, MN, USA. Its purpose is to advance the understanding of the anatomical and functional organization of the human brain, and promote its medical and societal applications. The Alpine Chapter was founded in 2014 to specifically address scientists in Austria and Switzerland. ÖGfMRT and OHBM Alpine Chapter are closely connected. Alpine Chapter activities are based on the ÖGfMRT as organisatory platform.